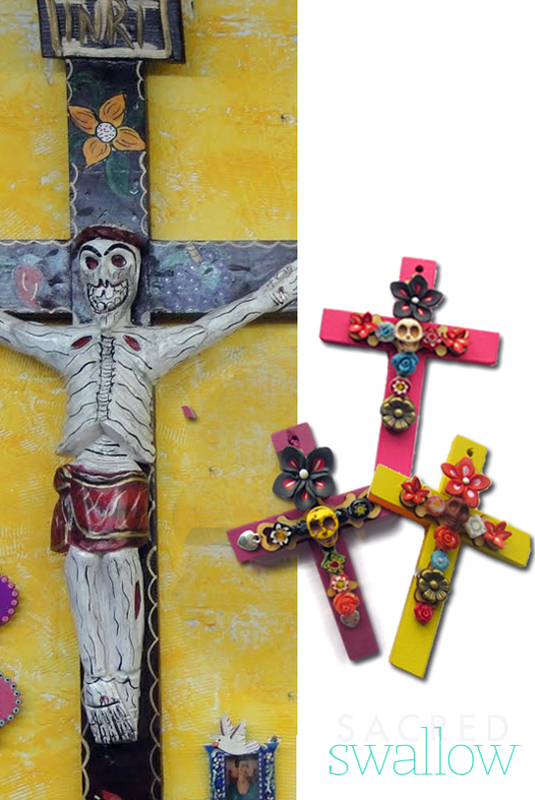 These gorgeous Mexican style wall crosses will brighten any wall in your home. 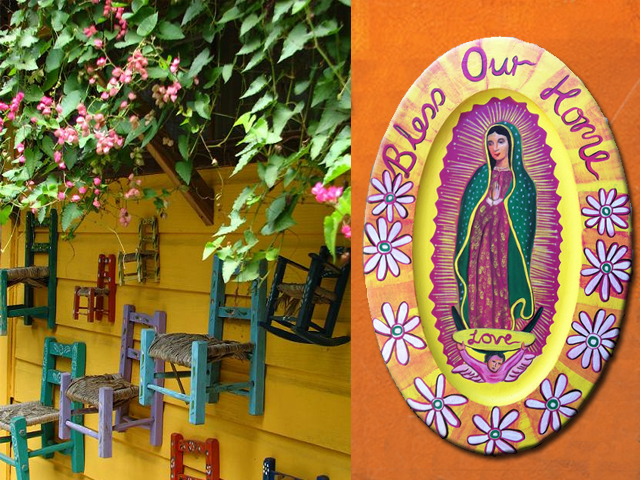 Hang them near the entrance or exit of your home to remind you of your faith and cheer the place up! Start by choosing which colour cross you would like- pink, yellow or mauve- and I will embellish it. No 2 crosses are exactly the same……. 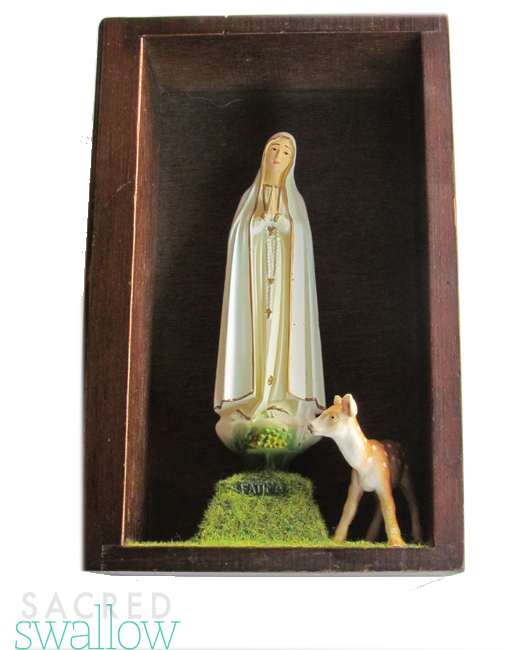 Nichos are shadow box style art works that traditionally contained painted saints . My Nichos are created in vibrant sardine cans and can be hung on a wall. Images are covered in resin to ensure protection from the elements and to ensure the images are shiny. Make one of these your next talking piece! 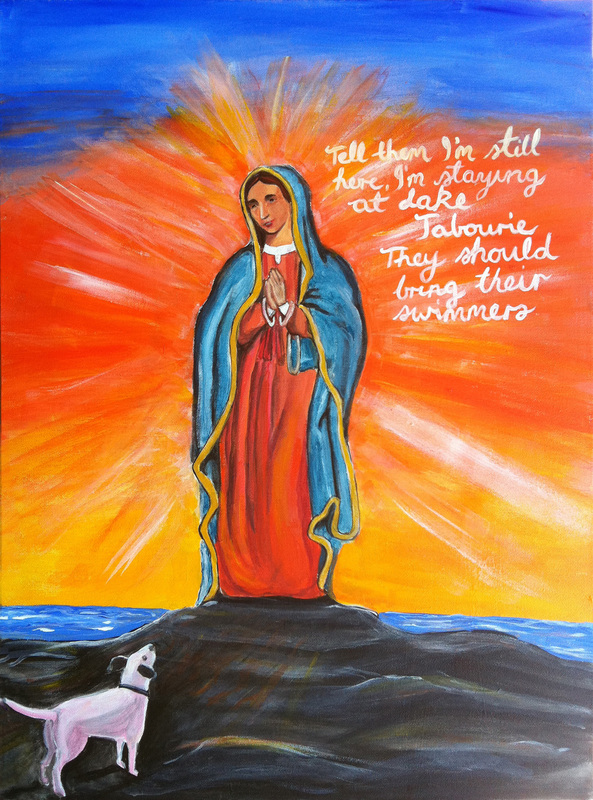 Jesus, Our Lady of Guadalupe or you choose a saint/image – email it to me, and I will create a personalised nichos just for you! Or hang one amongst a bunch of odd shaped picture frames containing your dearest friends/ family….and a pretty vase of fresh flowers in front! 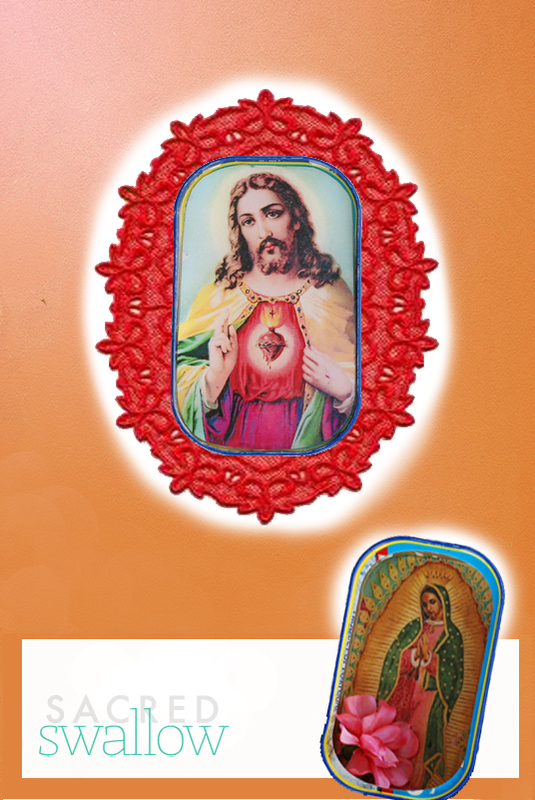 Choose your combination of crosses and colours. 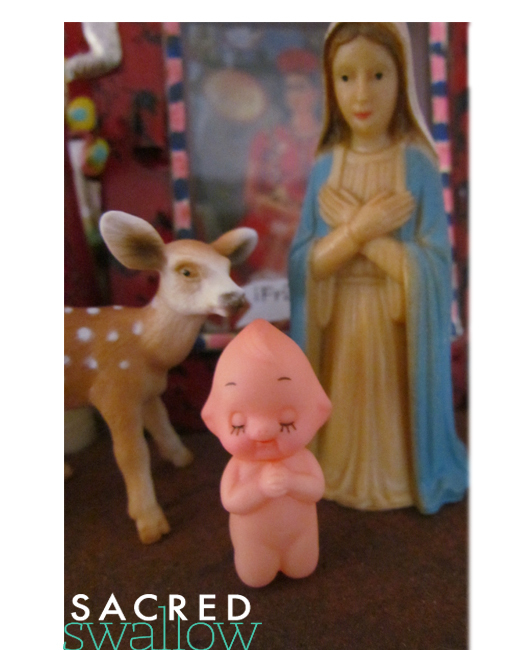 Crosses are pink, yellow or mauve. Sweet flowers are yellow,blue and red.